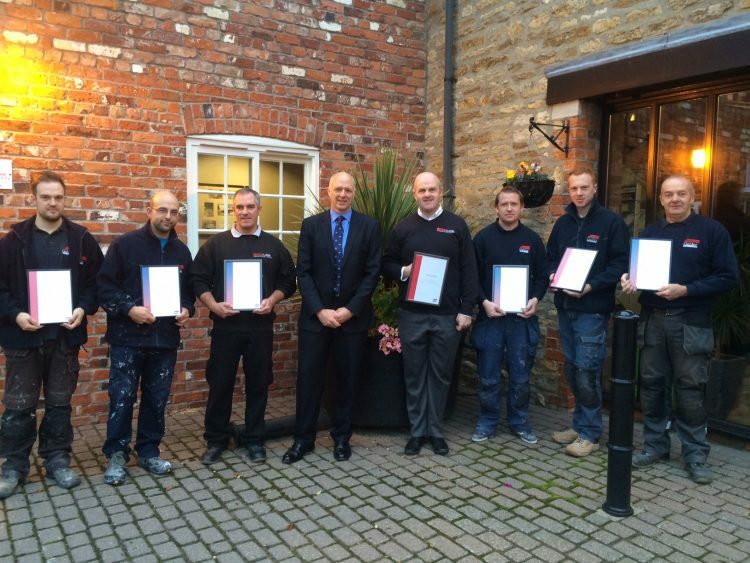 Gelder Group Insurance tradesmen receiving their awards. If your home is damaged by an escape of water, a fire or by an accident you want to know that it will be repaired by professional and skilled trades who have a wealth of experience in the field of repair and restoration. That is certainly the case at the Gelder Group, and on Thursday 15th October the team of Insurance trades, who between them have over 100 years of service to the Group, were rewarded by the CEO, Steve Gelder MBE. We have a fantastic team of dedicated Insurance trades and I’m very happy to be able to both recognise and reward them for the service they provide to our clients. If you would like more information about our Insurance division, please get in touch.